During a journey along Croatia’s twinkling Adriatic Coast one winter afternoon, I concurred with astronauts who’ve professed Croatia to be the bluest place on earth. 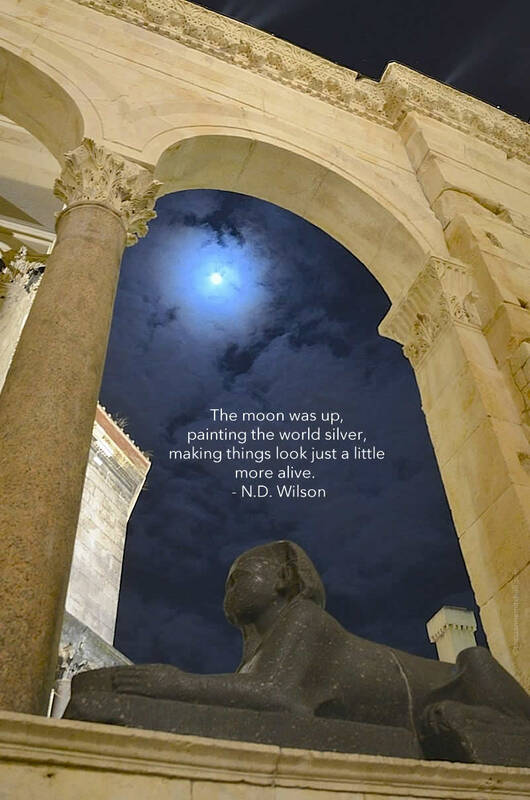 Along with our friend, Damir, we’d left our home away from home within Diocletian’s Palace in seaside Split, and headed northwest on a day trip. We had plans to stop at Krka National Park, the risotto and yachting town of Skradin, and finally the island village, Primošten. By day’s end, I’d add a postscript to the astronauts’ claim: Croatia’s coastline and rivers aren’t simply brilliantly blue, rather they’re a magnificent blend of teal, turquoise, and aquamarine hues. With stunning seaside views and streets overflowing with visitors, it might be easy to overlook Dubrovnik’s impressive Gothic, Renaissance and Baroque architecture. Yet Dubrovnik’s quirky maskerons and fanciful flourishes adorning palaces and cathedrals, are the city’s defining elements, and they are details in which to delight. When it was a powerful city-state that rivaled the Republic of Venice, Dubrovnik was called Ragusa. Thanks to the maritime trade that thrived in Ragusa for nearly 500 years, the city grew into a formidable power. Studded with ornate cathedrals and palaces, as well as intricately-carved fountains, the city was protected by imposing walls that still wrap around it for roughly 2 kilometers (about 1.2 miles). One of the most popular meals in Croatia’s Dalmatia region is peka, a blend of vegetables and meat drizzled with olive oil, sprinkled with herbs, and then baked to perfection under a bell-like dome, or ispod čripnje. You’ll see it listed on menus throughout the region, and if you are lucky enough to be invited into the home of a Dalmatian family, it’s likely that you’ll feast upon it for dinner. It is traditional for Dalmatians to cook peka in their fireplaces at home. Many Croatian families, especially those in the countryside, even have a special oven outdoors for cooking. Trogir was our Croatian home away from home for two memorable months. This picturesque old town has a fascinating history that goes back more than 2,300 years — in fact, it’s actually situated on an island! During our first weeks in Trogir, we preferred to soak up the town’s details bit by bit, leaving much to imagination. However, when the opportunity presented itself to go on a walking tour with Natalija, a new friend and certified tour guide, we decided it was time we properly unravel the mysteries of the ancient town.